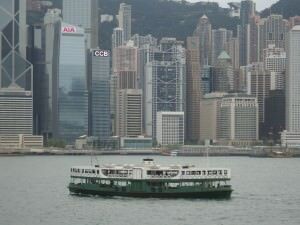 The best value boat cruise in the world: Star Ferry from Tsim Sha Tsui to Central, Hong Kong. I love boats and I always like the freedom of being at sea. I’ve worked on ferries and I’ve spent countless days at sea, completely loving it. I even went to Antarctica on a boat back in 2010. 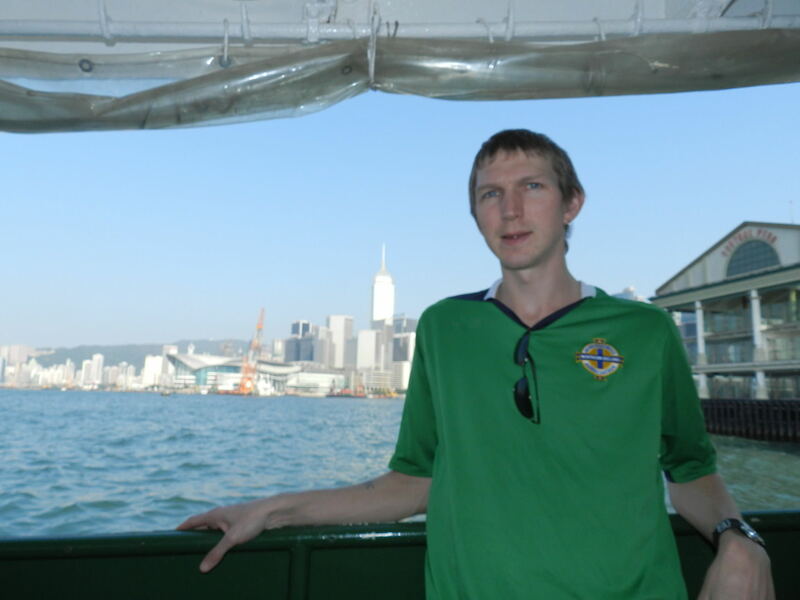 But the best value boat cruise in the world is actually in Hong Kong in my opinion. It’s the star ferry from Tsim Sha Tsui to Central. 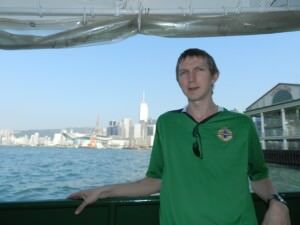 Loving my 16 pence cruise in Hong Kong on the Star Ferry! The cost of the Star Ferry is a measly 2 Hong Kong Dollars (Monday to Friday), rising to a very cheap 2.8 Hong Kong Dollars on Saturday and Sunday. That’s 25 cents (US) or 16 pence in the UK Monday to Friday. Very cheap and perfect for a budget backpacker! 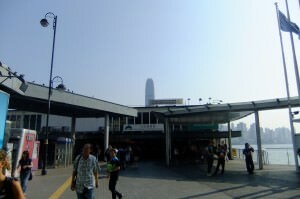 Star Ferry Harbour Tour Terminal in Tsim Sha Tsui, Hong Kong. As boat cruises go, this is the best value in the world (without including FREE cruises of course such as the Staten Island Ferry in New York of course). How do you book the Best Value Boat Cruise in the World? 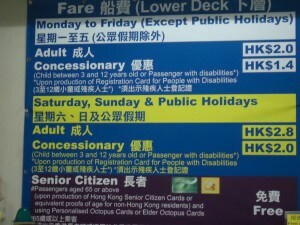 Just turn up at the Star Ferry Terminal at Tsim Sha Tsui seafront. It’s hard to miss – if you see the Clock or the Hong Kong Cultural Centre or Hong Kong Space Museum, then it’s right in front of those at the harbour front. If you use the MTR system to get to Tsim Sha Tsui, take exit L6. No bookings in advance. 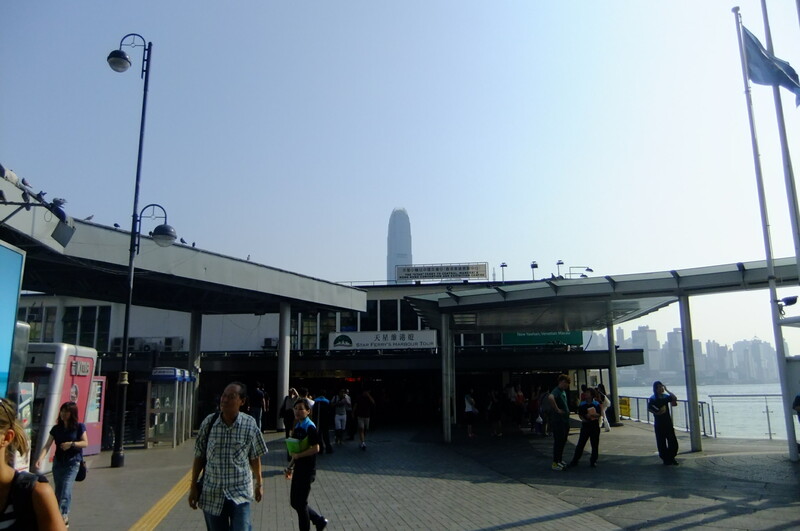 Entrance to the star ferry terminal in Tsim Sha Tsui, Hong Kong. If you live in Hong Kong you will probably have an Octopus Card, which you simply swipe and walk on through. If you’re a traveller, buy an octopus card while you’re visiting or borrow one of a friend. If you don’t want to do that, you’ll still get it for the same price and can buy a ticket on arrival at the ferry terminal in Tsim Sha Tsui! 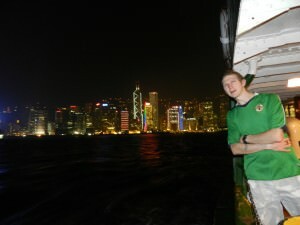 a 16pence ferry cruise against one of the best skylines in the world! 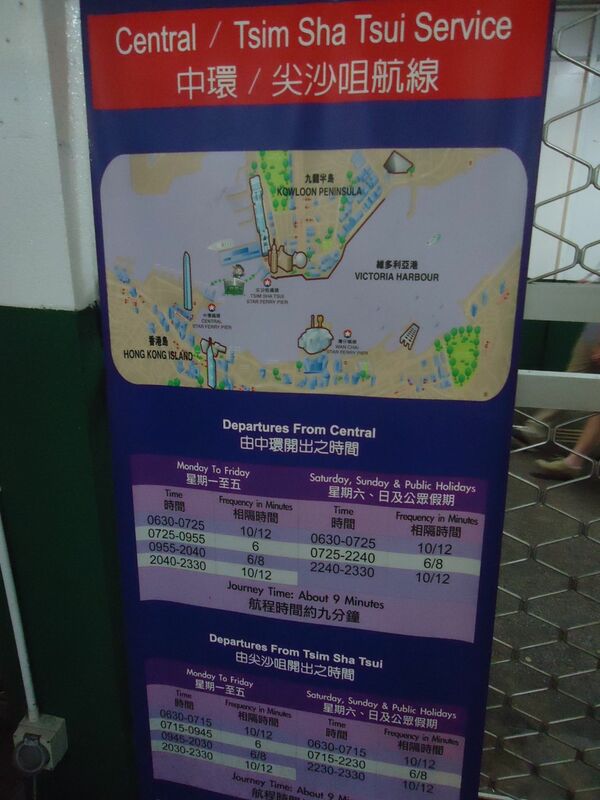 The prices for the Star Ferry in Hong Kong. 16pence will never break the bank! 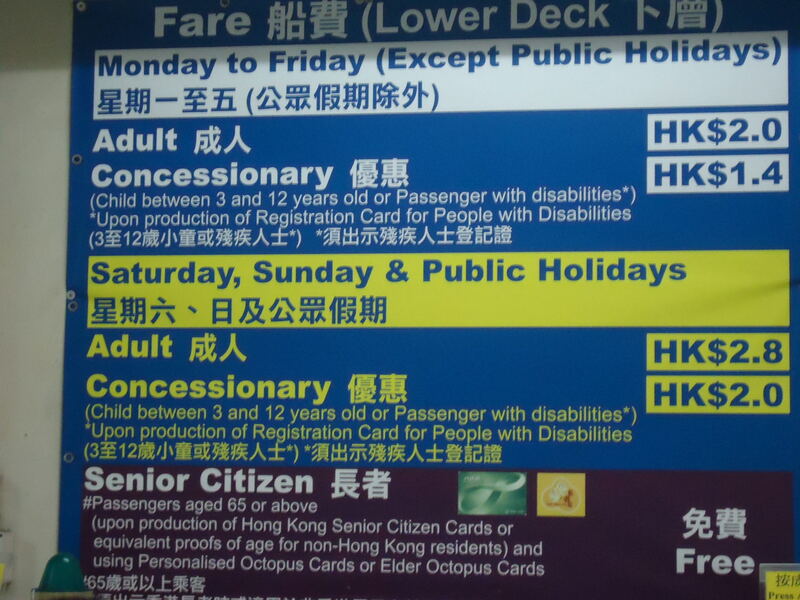 Even better if you are a senior citizen the boat is FREE and if you are a child under 12 or a passenger with disabilities it is only 1.4 Hong Kong Dollars Monday to Friday. These prices are correct as of today, 26th May 2013. 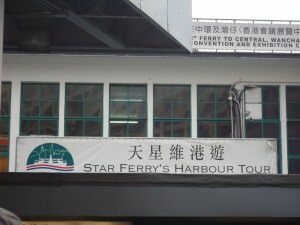 How often does the Star Ferry run? It’s very regular and you won’t have to wait long, check out the timetable below for the exact times. Every 10 – 12 minutes. There are also some seats in the waiting lounge while you wait. Timetable for the Star Ferry from Tsim Sha Tsui to Central, Hong Kong. 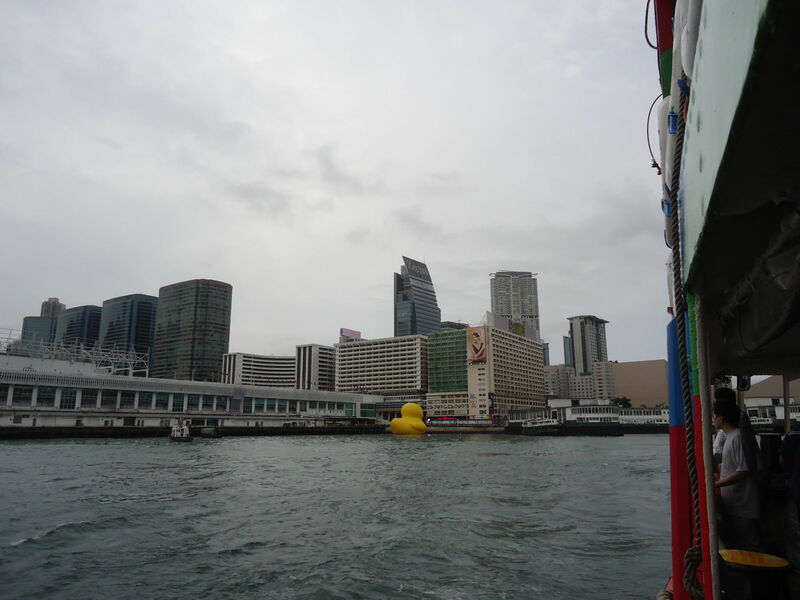 Why is the Star Ferry boat cruise so good? The views! Hong Kong is easily one of the best cities for vantage points of its skyscraping skyline. The Star Ferry allows you to see as far east as North Point and Yau Tong, right along Kowloon to Tsim Sha Tsui. 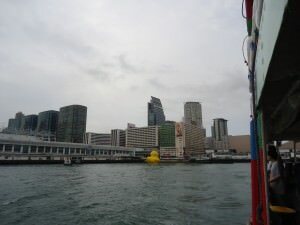 The west side of Kowloon at Tsim Sha Tsui viewed from the Star Ferry, Hong Kong. In front of you you can also see right along Hong Kong Island to Sheung Wan. On a good day you can see Lantau Island, Tsuen Wan and the outlying islands of Hong Kong. 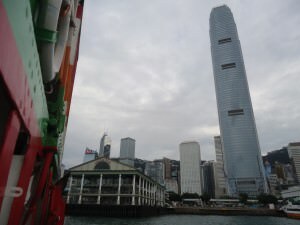 The view of Hong Kong island from the Star Ferry. Savour the views as you jump on board. The journey lasts about 10 minutes so grab your photos and enjoy it while it lasts. Arrival at Central Pier, Hong Kong Island on the best value boat cruise in the world – the star ferry. You will arrive into Central on Hong Kong Island ready to explore the dynamics of this skyscraping business hub. I totally recommend doing this if you’re in Hong Kong. 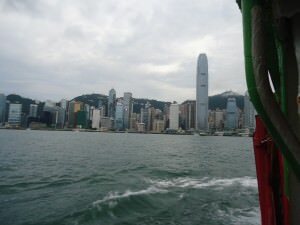 You can go by bus or MTR to Hong Kong Island if you pay a bit more, but why turn down the chance to ride on the best value boat cruise in the world? 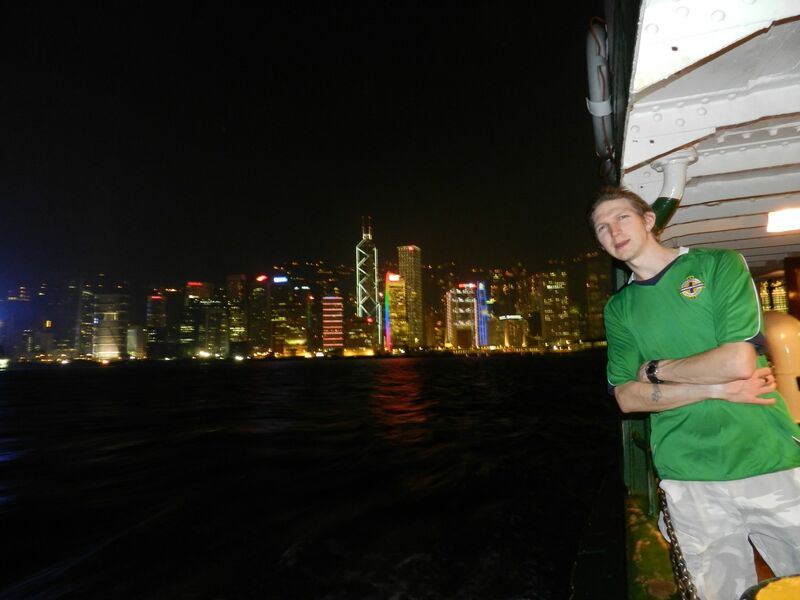 Enjoying the night time view on the Star Ferry – best value boat cruise in the world! This entry was posted in Asia, Boats, Destinations, Ferries, Hong Kong, Hong Kong Island, Transport, Tsim Sha Tsui. Bookmark the permalink.